Delhi is a city with a plethora of visual experiences to offer, from glorious monuments belonging to the past to new and upcoming urban sites. Even though each corner of the city is a place with its own story worth capturing, these are a few best places for photoshoots in Delhi that attract budding photographers the most. From posh and modern clubs and restaurants to lakes and ancient forts in ruins, Hauz Khas Village is diverse in its range of aesthetics. We’d recommend it for the regal historic ruins of the fort alongside the lake, with the contrasting hustle and bustle of the urban lifestyle. Being one of the oldest and busiest markets in the city makes Chandni Chowk a photographer’s paradise. From second-hand bookstores to street food stalls packed with sounds and activity, including the infamous Paranthe Wali Galli, this market has it all. There is a myriad of colours, sounds, and movement to capture in this area, which is a delight for any photography enthusiast. It is the perfect spot to admire Lutyens’ architectural finesse. 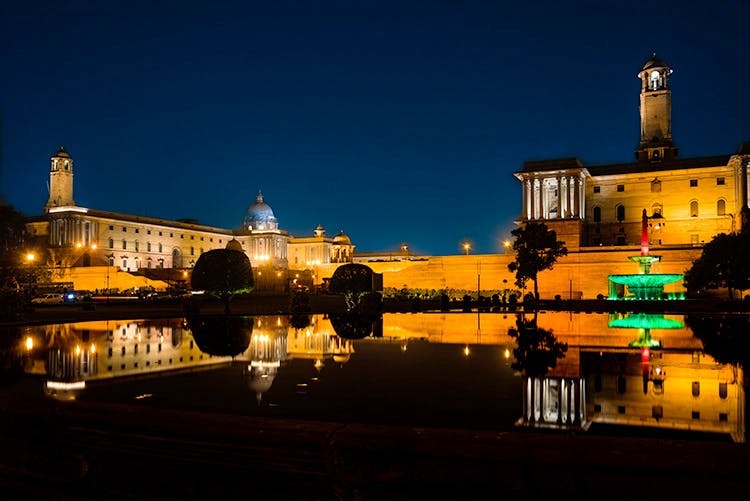 With India Gate on one end and Rashtrapati Bhawan on the other, Rajpath makes for a stunning display of Delhi’s impeccable modern buildings and political power. This quaint little Tibetan colony is a world waiting to be explored. One of the capitals’ hidden gems, Majnu Ka Tilla puts forth its rich culture for you to embrace. Restaurants and cafes serving scrumptious food, a Buddhist temple monastery, which is a sight for sore eyes, and several shops selling quirky clothes and accessories will give you the opportunity for many an appealing shot. Dilli Haat is one of the only markets which offers an amalgamation of the regional cultures in India. It is a vibrant place where you can enjoy multiple cuisines, shop for traditional clothes, and explore and capture the culture of numerous communities accurately with your cameras. And, there are colours galore. One of the largest mosques in the world, Jama Masjid is a mesmerising piece of architecture created by Shah Jahan. Along with being a religious and spiritual hub, the location of the mosque is the ideal spot for a photographer to arrest a spectacular panoramic view of the entire city. Along with its great historical significance and various myths that suggest the site is haunted, Agrasen Ki Baoli has an aura of its own. This almost-in-ruins step well makes for a rustic setting that many photographers are always eager to capture. Sunder Nursery is a massive garden, spread across 90 acres of lush greens and has 15 Mughal monuments, 280 tree species, 80 bird species, 36 butterfly species. There's so much scenic beauty in the place, that there really couldn't be a better place for a photoshoot than here.